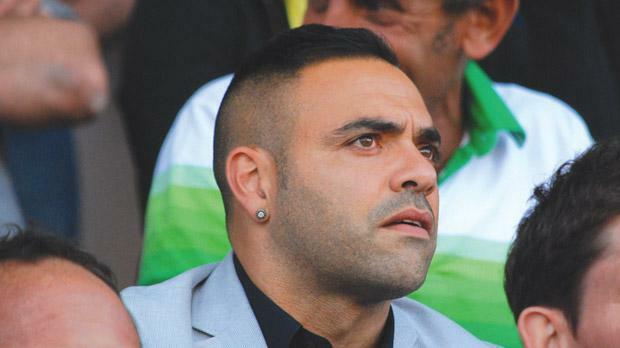 Birkirkara’s much-publicised pursuit of Fabrizio Miccoli came to a successful conclusion yesterday after the Italian striker agreed a one-year deal to join the FA Trophy winners. The signing of a high-profile player like Miccoli is a coup for Birkirkara and their new president Adrian Delia who had been chasing the signature of the former Italy international for several weeks. “Prolific striker Fabrizio Miccoli, a former Juventus and Palermo player, has just a signed a one-year contract with Birkirkara FC,” the 2014/15 FA Trophy winners said on their official website. “Fabrizio Miccoli needs no introduction, as the 35-year-old forward has played with a host of top clubs in Italy. “He is best known for his successful spells with Juventus and more recently Palermo, before joining Lecce in 2013. “Miccoli is renowned for his all-round attacking abilities, specifically his technique, pace, and his powerful and accurate finishing, both inside and outside the area. A prolific goal-scorer, Miccoli is also a regular assist provider. Giovanni Tedesco, who succeeded Paul Zammit as Stripes coach, was instrumental in enticing Miccoli to join him at the Stripes as the two have remained close friends after playing together at Palermo and Perugia. The Stripes’ interest in Miccoli, who turns 36 this Saturday, had been an open secret after he accepted the club’s invitation to attend last month’s FA Trophy final that saw Birkirkara beat Hibernians 2-0. Earlier yesterday, Dr Delia confirmed that Miccoli was on the verge of joining Birkirkara after fruitful talks with the player himself and his representatives. “Yesterday (Tuesday) we finalised negotiations over Miccoli’s move,” Dr Delia, who took over from Joe Zammit at the helm of the FA Trophy winners, said. Naturally, Miccoli’s arrival has captured the imagination of the Birkirkara faithful who have high expectations for next season after their team secured the FA Trophy last month and finished third in the BOV Premier League. Miccoli, who turned out for home club Lecce in the last two seasons, is due to land in Malta this afternoon in time for the presentation of Birkirkara’s 2015/16 squad at a social activity at the Infetti Ground. Miccoli is the second major signing made by Birkirkara this week after Slovenian forward Vito Plut, formerly of Floriana, penned a three-year deal with the Stripes. Birkirkara are also in advanced talks to sign Adama Traore. The Mali-born midfielder, 26, was on the books of Paris St Germain in the past. The arrival of Miccoli and Plut will strengthen Birkirkara’s optimism about their chances of beating Armenian side Ulisses FC in the first qualifying round of the Europa League. With West Ham likely to ease past Andorran minnows Lusitans in the first qualifying round of the Europa League, a mouth-watering clash with the English Premier League side awaits the winners of the Birkirkara-Ulisses tie. The first leg will be played at the Hibs Stadium today week, starting at 8.45pm. Hibernians have recruited English goalkeeper Matthew Towns to provide cover for Malta U-21 international Juergen Borg. Towns, who has been on the books of several Maltese clubs, including Floriana, Valletta and St Andrew’s, will also form part of Hibernians’ technical staff as he is a qualified physical trainer. The arrival of Towns is likely to signal the end of Hibernians’ interest in goalkeeper Henry Bonello. The Paolites were eager to extend Bonello’s loan deal from Sliema for another season after he left a very positive impression in the team’s title-winning campaign but the Wanderers were only prepared to consider a permanent transfer for the towering goalkeeper. This has led Hibernians coach Branko Nisevic to bank on the highly-promising Borg for next season with experienced shot-stopper Towns providing competition. Meanwhile, Hibernians, who will meet Israel’s Maccabi Tel Aviv in the second qualifying round of the Champions League, have reached an agreement to sign coveted Brazilian playmaker Gilmar on loan from Naxxar Lions. Elsewhere, Tarxien Rainbows have signed goalkeeper Andrea Cassar on a three-year deal. The former Ħamrun Spartans custodian was part of the Pembroke Athleta squad that secured an historic promotion to the Premier League last season. At Tarxien, Cassar will be reunited with coach Jacques Scerri who has taken over from Clive Mizzi after parting ways with Premier League newcomers Pembroke Athleta. The Rainbows have also agreed a deal to sign Ayrton Azzopardi, the young Hibernians winger who also featured for Pembroke last season. Azzopardi, who was once famously named in Malta’s senior squad after catching the eye of national coach Pietro Ghedin, is expected to sign a five-year deal. For their part, Pembroke have reportedly reached an agreement to sign Serbian defender Zoran Levnaic and Nigerian midfielder Uzeh Edafe who both played for Qormi last season. Defender Owen Bugeja is also being linked with a move to Pembroke. • Europa League hopefuls Valletta and Balzan play a friendly match, their second in the last seven days, at the Centenary Stadium, last night. The Citizens, who have been drawn against Welsh outfit Newtown AFC in the Europa League, won 4-1. Balzan will face Bosnia’s FK Zeljeznicar. in the Europa League.